Failing to understand the difference between B2B and B2C content marketing is an important reason why many B2B content strategies fail. Creating a B2B content marketing strategy to target businesses is much more different than creating a B2C content strategy. One involves creating content to target the decision-makers of companies and the other involves targeting broad audiences. Even though as many as 82 percent of B2B marketers in one survey, said they employed "content marketing" as a strategy, failing to understand the difference between B2B and B2C content marketing is an important reason why many B2B content strategies fail. With the right strategies, you can generate continuous traffic, build trust, brand awareness and drive more conversions. Below are some of the best strategies you can implement to create a more successful B2B content marketing strategy for your business. One of the biggest mistakes most businesses make when crafting content for B2B marketing strategies is attempting to be overly professional in their content. Another mistake: using technical writing styles in blog posts and filling them up with unnecessarily complicated vocabulary, hoping to come across as "professional" to their audience. With B2B. after all, you’re not targeting businesses with your content, you’re targeting those who run the businesses. These decision-makers are people just like you. And they're tired of reading the same old robotic content on every blog they visit. So, try to be unique. Add a bit of humor. Tell stories. This is exactly what Intel did with its Creators Project content strategy, represented above. 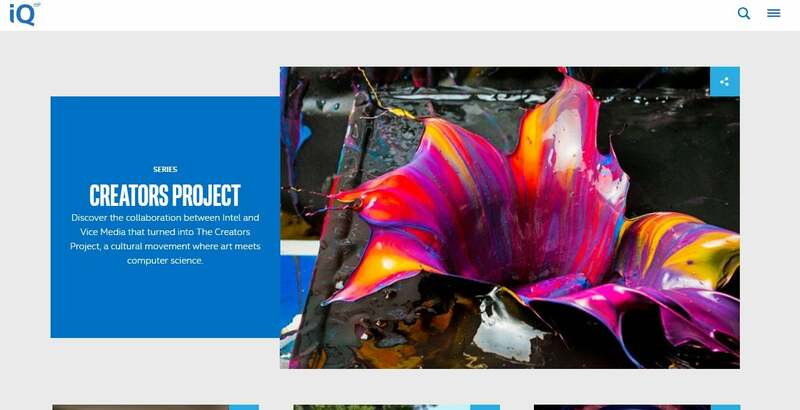 The company teamed up with artists to show a unique world where technology meets art. This series not only helped generate massive brand awareness for Intel but allowed the company to stand out from the crowd. Email is arguably the most effective method you can use to engage with a B2B audience. In fact, 53 percent of B2B marketers claimed that email is the most effective way to generate leads. The key to building a successful email marketing strategy and creating more personalized emails is to use email-list segments. With list segments, you’ll be able to create specific groups in your email list. This will allow you to create targeted emails for each group with personalized messages. For example, if you have a list segment that collects the job title of the subscribers, you can create separate email campaigns to target people in different roles at a company, to deliver your message and promote effectively. Be helpful and give back to your community. If you try to make your content too promotional, people will eventually lose the trust and faith they have in your company, and you’ll end up losing your authority. This is especially the case for B2B content marketing. Keep in mind that you’re targeting a highly educated audience, who, most of the time are experts in their field. Creating truly helpful content is the best way to build authority and trust. You don’t always have to sell your products and services. Simply show how valuable and helpful you can be. UXPin, the UX design platform represented above, had a mission: to educate their potential customers about the value of user experience design. 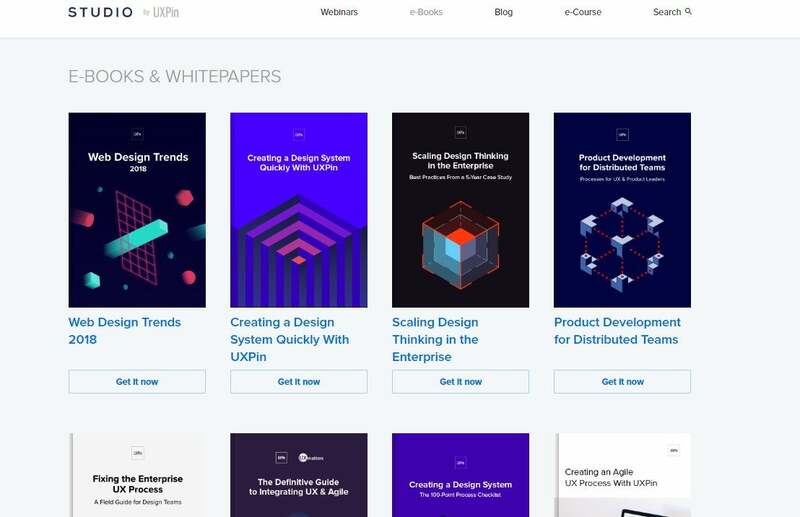 To achieve this goal, the company created a massive library of ebooks and white papers and made all the ebooks free to download. Creating useful blog posts, ebooks, infographics and social media content are all important parts of a content-marketing strategy. But, it’s also the same strategy that all your competitors are following. Are you clever enough to find an original way to make a difference? Cisco is a massive tech company that sells manufacturing hardware. Unlike Apple and Google, Cisco doesn’t sell any cool gadgets or devices. 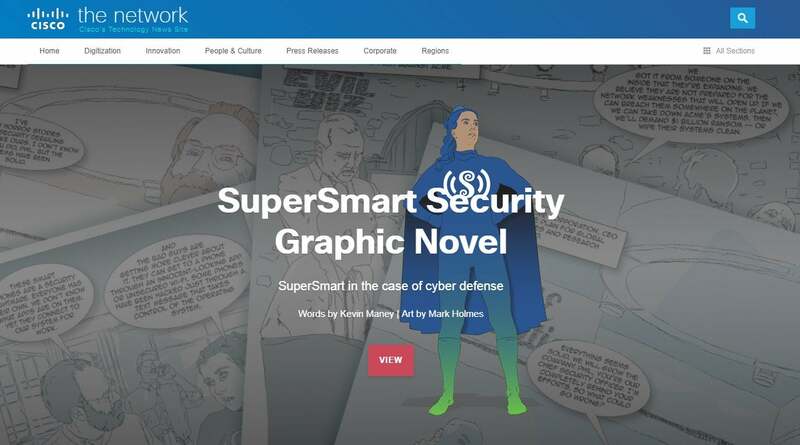 However, the company still managed to attract attention using a unique content strategy, by creating a graphic novel (shown above) to promote its technologies and information in a fun and a relevant way. When it comes to developing a content strategy that delivers continuous results, gathering data and measuring the content is what will help define how successful your content strategy becomes over time. Understanding the ROI of your content efforts, along with which blog posts drive the most traffic, which lead magnets generate the most subscribers and which emails convert to sales will help you create more winning content to develop a killer marketing strategy. Of course, your B2B content strategy wouldn’t be complete without the right buyer persona to target the right people through your content.Even more important: Use the right platforms to create and promote your content. When in doubt, don’t be afraid to steal a few tricks from the content strategies of your competitors and other successful brands in your industry.